Now they can invite their friends over again! 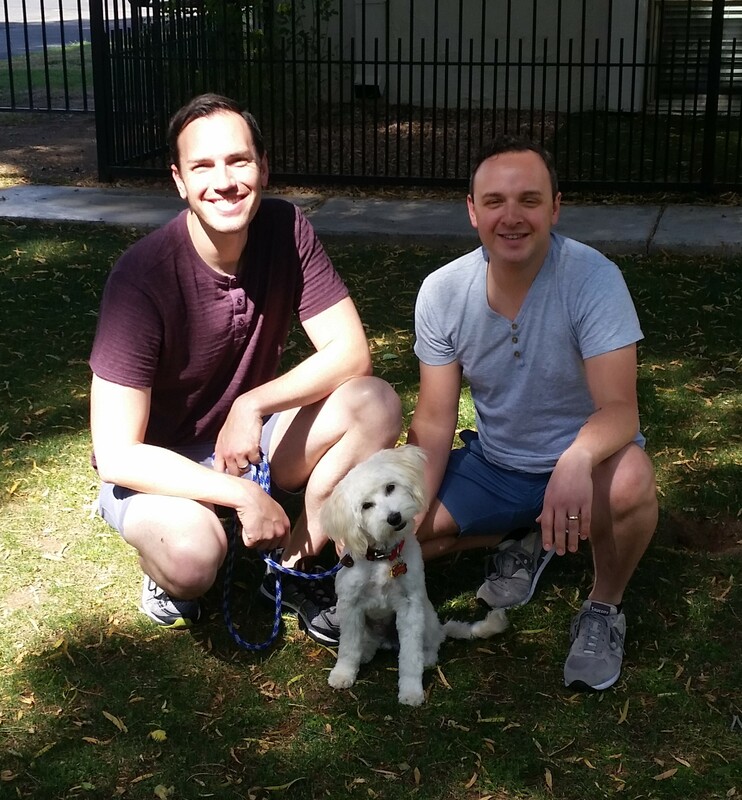 William and Travis from Tempe, AZ contacted us because, Benson, their mini Goldendoodle, had a few fear issues and anxiety concerns. Benson was very uncomfortable around people. He even took a long while to warm up to his new family. Benson would potty if he got too nervous or run completely away from people if they approached him. His parents didn’t want him to be scared of their family and friends, who came over quite often. They didn’t know what to do or how to get Benson to understand that people and things weren’t so scary. 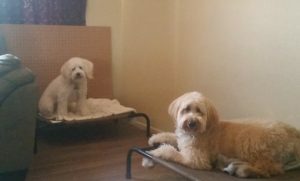 William and Travis signed Benson up for our Unlimited Program, where we were able to show them how to calmly introduce people to him and make him comfortable with their presence and to not run away from every sound he heard or every dog or person he didn’t like. He also learned how to trust his owners and listen to them when he didn’t know what to do. Benson now gets to see the world instead of being fearful of it. 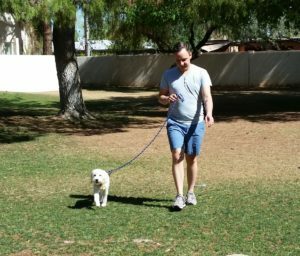 Now when Benson goes back to Tempe, AZ , he can now play with other dogs he likes and learned how to interact on a level he feels comfortable with. His owners also know that they can trust him more with their friends and family without worrying he might nip at them or run from them. They get to invite people over and introduce them to their new family member and feel proud that he has overcome so much in such a short time.